HELP has continue its support of the Amman Mahaleer Girls Home. 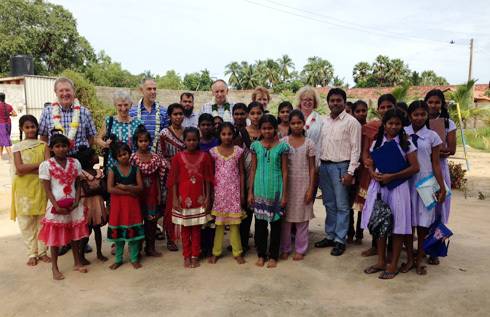 Following a visit by our Trustees and volunteers in November 2014, we have agreed to build an extension to the Home (at a cost of c£4,000) to provide a vocational training centre for the girls and women in the local village. The sewing centre training that we support will move into the new building, as will the girls computer studies. It will also be used for teacher training by the local villagers. During the visit, we also agreed to buy the girls new clothes and school books for the new school year. The sewing centre we established in 2010 continues to thrive, giving the girls a potential livelihood. We provide free lessons in dress making etc on a weekly basis for local mothers in the village and for the eldest girls in the Home. We have bought 6 Singer treddle sewing machines for the Home, pay the costs of the teachers and provide the cloth that is required. We have also set up a small micro-finance scheme which enables the women and girls to buy their own sewing machines when they finish their studies. 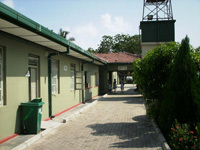 Helping East Lanka Progress (HELP) is a UK registered charity that was set up by Dr Vip Thiagarasah in August 2005 to relieve the suffering of victims affected by the devastating tsunami of December 2004 on the East Coast of Sri Lanka. The aim of HELP is to provide assistance to the families, and specifically the children, in the Ampara district of Eastern Sri Lanka who have suffered as a result of the tsunami. HELP operates on the simple principle that all funds raised will be spent on the projects identified by the Trustees.